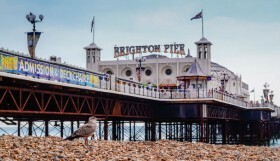 Discover Your New Favourite Band with Brighton Unsigned this September! 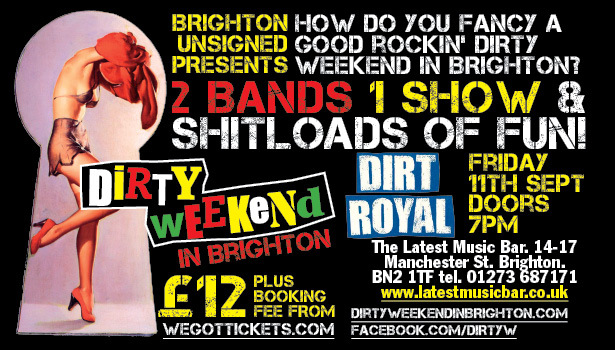 Described as a ‘lively and lairy’ rock band, aptly named Dirty Weekend in Brighton really do love their city and as such like to use a Brighton (& Hove actually) theme for many of their songs! Lead guitarist, Joe Colburn has some impressive session work behind him, most recently supporting Lionel Ritchie with local singer Larissa Eddie. 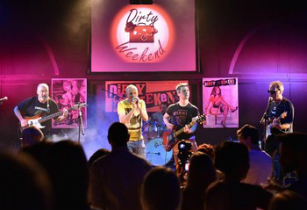 Look out for their new 7” vinyl track ‘Dr Dirty’ coming soon and be sure to check out the video for their signature tune Dirty Weekend In Brighton…. 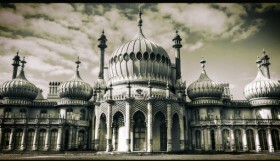 Inspired by the likes of The Jam and the Clash, Brighton, raw, grass roots 3 piece Dirt Royal have been pumping out ‘British Rock n Roll’ since 2013. After a few self released EPs and singles, 2014 saw their debut album ‘This is Now’ released through Time For Action Records to great reviews. 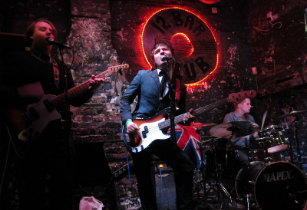 Along with boasting a support slot with Sham69 at the 100 Club in London’s Oxford Street, they’ve also ventured further afield with several tours around the U.K and Germany. 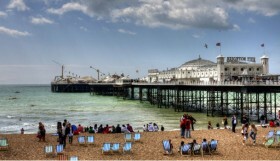 Check out their video for ‘Girl in The Shop’, you’ll be hooked! Tickets are just £12 and you can get your hands on them here!